Be the toast of the town with this chic, champagne-colored Mary Kay tote bag. This fun tote features two large outside pockets and a roomy zippered interior pocket for ultimate storage. 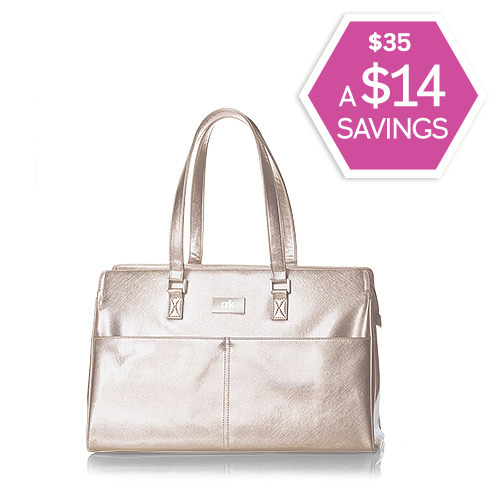 The Champagne Metallic Party Tote has a 30-day 100% satisfaction guarantee and one-year manufacturer's warranty on defects. Size: 19"x 12" X 7"